Statistics show that mixed marriages have the lowest divorce rate on the country. The absence of openness, the lack of a sense of responsibility and adultery were cited among the major reasons for divorce in Kuwait in 2015. The justice ministry said that the change in the behaviour of spouses after marriage, negligence, domestic violence, and the interference of families were the other reasons cited in filing for divorce. 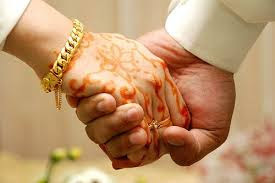 According to the ministry, 32 Kuwaiti couples divorced in the first three months of the year, representing 1.9 percent of the 1,601 marriages contracted. The figures showed that the total number of marriages in the country, including between non-Kuwaitis, was 2,120 with 39 ending in divorce, a 1.8 percent rate, Kuwaiti daily Al Watan reported on Tuesday. About one quarter of the Kuwaiti men who got married during the January-March period took foreign wives. However, six of the 385 marriages ended in divorce, the ministry said. Kuwaiti women took 134 non-Kuwaiti husbands, and only one marriage ended in divorce. The numbers show that mixed marriages have the lowest divorce rate in the country. The figures indicated that 344 marriages were contracted between people staying illegally in the country — a term used by the local authorities to refer to the Bedoon (stateless) residents. However, the divorce rate reached alarming levels within this segment of the society amounting to 37.5 per cent of the marriages. Gulf countries have some of the world’s highest divorce rates, prompting the local authorities to seek out solutions to control the phenomenon related mainly to a demanding lifestyle and a high status consciousness.